-15- might well involve itself and other groups in actively encouraging and fostering the work on a national level. 6) The news media of Iowa City are a tremendous and favorable factor in the work of human relations. Keeping them well informed and maintaining good relations with them is of great importance. 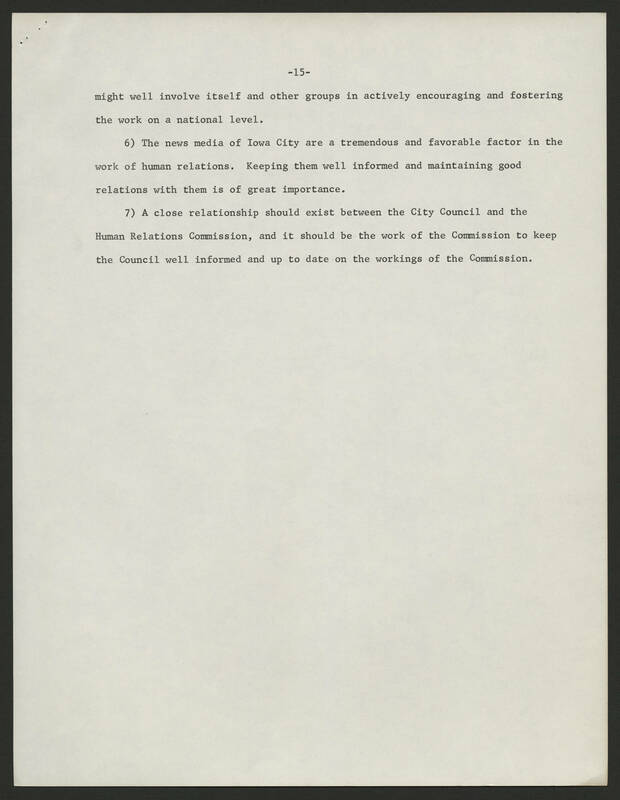 7) A close relationship should exist between the City Council and the Human Relations Commission, and it should be the work of the Commission to keep the Council well informed and up to date on the workings of the Commission.